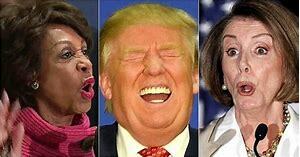 Just as the experts said on PBS News Hour minutes ago, If Democrates Continue with their platform of Resistance, Investigations, and Subpoenas, they will surely seal their fate for a Loss in 2020. So go ahead, But be careful what you wish for. It's still a little over 2 months before the changeover. A lot can happen in that time. You bet like a cardiac failure or stroke. And woe be unto the Pelosivites and their putrid ilk. Saving Social Security and Medicare, definitely a good thing . Trump and Republicans may try to change it before new Congress. Social Security and Medicare have been running on borrowed money for a long time. SocSec has about 16 years left before the reserves are depleted. Medicare reserves will be depleted even sooner, 2026 is what the Trustees say. The Republican proposals weren't going to abolish these programs, they were going to fix them so they were financially viable. 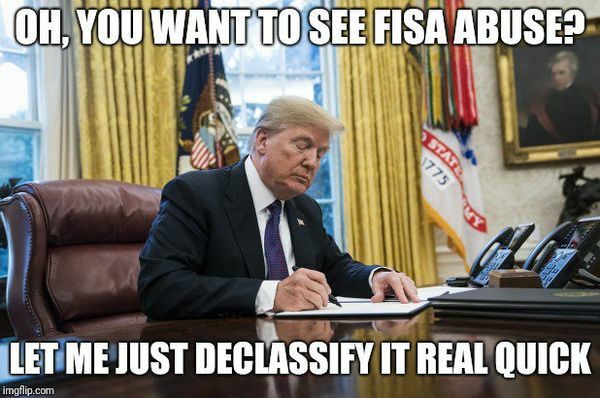 Trump is about to declassify the FISA warrants and the unethical use of power the Mueller has exercised of the people he has persecuted to keep them quiet. Just wait until the Uranium One documents are declassified - 11 Nov? - and Muellerâ’s corrupt role in that is exposed to the light of day.